By Sia in Mobile. December 3, 2016 . Ok Google, Google’s voice assistant is probably going to make this long awaited application to be implemented on Android Auto soon. Well, because some vigilant users have found out it has been enabled today. With this feature, Android Auto users can now navigate the app solely through voice commands. First discovered on this reddit thread, a user by the name of neo5468 has noted that the "Ok Google detection" page has been updated. 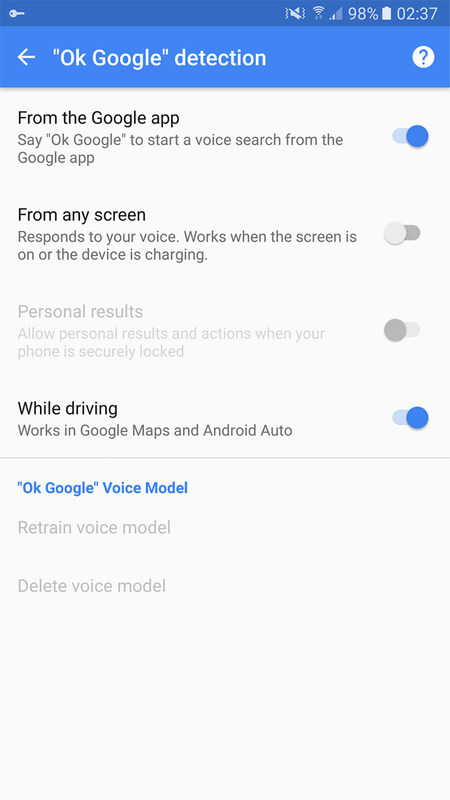 Now, the "While driving" section indicates that Ok Google applies in both Google Maps and Android Auto, we assume that it has been toggled. Do take note however that Google has yet to issue an official statement about Ok Google on Android Auto, which is why this feature is not live at the time of writing. The reddit thread mentioned that this feature is only available for selected few users on the latest version of Android Auto, you can try your luck – download the APK here. Android Auto’s Ok Google support will be coming to both the Android app and the in car head unit, so Android Auto users need not worry about platform abandonment.